Hurricanes are a fact of life for Florida businesses. They bring financial losses that can ruin companies that aren’t prepared for the potential damage. Hurricane Michael was the most damaging weather event of 2018 in Florida, and the losses may end up totalling $10 billion. The business technology you rely on day-after-day faces many risks in the event of a hurricane. Your data storage, servers and employee workstations may get damaged by the debris that are flying around. If your building floods, important equipment ends up getting submerged underwater for an extended period. Power surges have the potential to destroy electronics that aren’t properly protected. One risk that businesses may not consider before a hurricane is the risk of data theft due to looting, as was seen after Hurricane Michael this past October. Opportunistic criminals may grab any expensive looking electronics they can find, which includes your servers, networking hardware and other expensive and valuable IT equipment. If you use a Bring Your Own Device policy in your organization, important data may be on personal devices that remain in the hurricane’s path. Without a proper backup plan, you may lose weeks or months of work in a few hours. A disaster recovery plan considers all of the risks that your organization faces during hurricanes and other damaging events. When you have this plan in place, everyone knows what to expect and their responsibilities during different types of disasters. The chain of command and communication are vital elements in this documentation. All employees should know who to report to during a hurricane. A designated emergency response team handles the operation and follows procedures that minimize the potential losses. Redundancy is built-into this plan, since the on-the-ground situation can change rapidly. Backup plans cover various contingencies, such as a key team member being unable to get to the site or catastrophic failures in the power grid. Consult with emergency preparation specialists who have taken their companies through hurricanes before. They can look over your plan and identify anything that you missed or hadn’t considered at all. Make sure that your commercial insurance covers IT equipment and the associated damages that come with a hurricane. Florida-based insurers have a lot of experience and resources for processing hurricane-related claims, so they can guide you to the right coverage for that situation. Outside of creating a disaster recovery plan, you have more ways to prepare before the hurricane gets to shore. Get your data backed up to offsite locations that don’t have hurricane threats. Put barriers in place between windows and your data centers to limit the potential for debris to fly through. If you have time before a hurricane hits, covering the windows with hurricane shutters or plywood can help you handle debris. Go over the disaster recovery plan with all employees and address any questions before you’re in the middle of the storm. Practice key parts of it and test your systems so you don’t face the failure of critical components when it matters the most. Business continuity is difficult in Florida hurricanes. Smaller businesses may not be able to open their doors again, and larger ones spend months picking up the pieces. When you have a solid plan in place to protect your IT infrastructure, you can resume normal operations faster and minimize the losses in the event of a devastating storm. 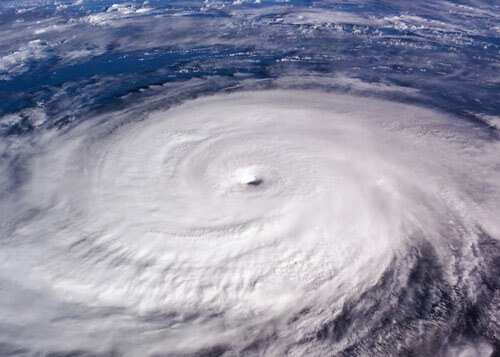 A Florida-based Managed IT Company that understands the IT risks that Florida businesses face can help develop a business continuity plan that will include custom documented backup and disaster recovery plans and procedures in the event of a hurricane. If you have any questions or concerns about how ready your IT infrastructure is for the next hurricane, feel free to email us or give us a call. Or if you would like to sit down with us and have your IT maturity level assessed, sign up for an IT Assessment. As a Tampa Area-based Managed IT Service Provider we have expertise to mitigate the risks that your organization faces during a hurricane.